4tiitoo creates a software platform to control everyday devices and applications in a consistent, natural and more efficient way based on inputs like gaze, gestures and speech. Canatu is a leading developer and manufacturer of transparent conductive films and touch sensors for an entirely new class of touch applications. Argus is the world’s largest, independent automotive cyber security company, whose customers are the world’s major OEMs, Tier 1s, aftermarket connectivity providers and fleet managers. blickshift provides solutions and products for the analysis of car drivers’ behavior, especially for the analysis of eye movements. 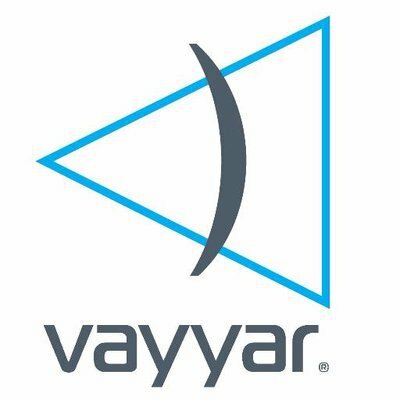 Vayyar Imaging creates sensing and monitoring solutions based on a unique radio wave technology that sees through and inside objects. Our smart retail shelves enable high-resolution sensing across the entire shopper experience and inventory life-cycle. Our products do not use cameras, so data collected is completely private. At GauzyTM our vision is to embed technology into raw material and enable it to be effective, efficient, applicative and smart.Gauzy inspires substance over matter. We take pride in bringing together a world of magic and a world of logic into a broad portfolio of state of the art real life applications onto and into material such as glass. Gauzy is a world leading innovative developer and manufacturer of LCG® (Liquid Crystal Glass). Gauzy develops, manufactures and markets Liquid Crystal materials (PDLC, PDSLC, NLC and more), controllers, applications and solutions for a variety of markets including construction, automotive and consumer electronics, anything from elevators to refrigerators and more. evopark sets a new standard for a convenient parking experience at central locations and low rates. After a simple online registration, car park tickets become obsolete as you can enter and exit car parks with the gates opening automatically. The evopark app not only allows you to easily find off-street parking locations and check real-time availability, but also to get a significant discount on your parking fees through retailers and restaurants as well as to receive exclusive offers from stores around the parking facilities. Finally, you are invoiced conveniently once a month by chosing out of a variety of payment methods. evopark makes parking easy, affordable and fun! Noveto’s cutting-edge, Smart PersonalSound technology will forever change how, when and what we hear. Creating the next-generation of audio HMI, our innovative technology enables devices to deliver audio to the user's ears only, without any external hardware onthe user. Welcome to the future of driving – giving you private access to the information you need on the road, on time and totally hands-free, keeping you connected and safe. Users can see cars from major carsharing providers in their area, find the closest one, compare offers and book the best fit. Our mission is to provide people with easy access to a variety of vehicles and enable them to book directly from our app. The CarJump App is available for Android, iOS and Windows devices. In the near future CarJump will enable all users to register with all carsharing providers with one signup process – digitally and instantly. The Otonomo platform powers the first connected car data marketplace to enable auto manufacturers, mobility service providers and application developers to safely share and integrate car-generated data, so that the driving experience is safer, smarter and more convenient. We are an online mobile marketplace where truckers come to get their next truckload using their smartphones. 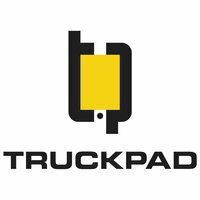 With TruckPad truckers increase their income and save time and fuel. For the shippers and carriers TruckPad will lower their cost by reaching the nearest and favourites truckers. HopOn is a smart mobile payment and ticketing platform for the public transport, taking the simplification of transport ticketing to a new level. 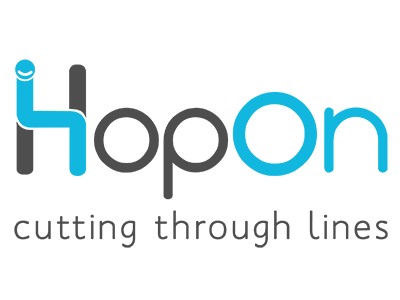 HopOn was established in Israel in 2012 and has developed a unique, low cost solution that can be integrated with public transport operators fast and easily. Their goal was to create a secure, simple to use, 1 click button solution. To meet their goal they use a patent pending, high-end ultrasonic system and other advanced technologies. Bernstein Technologies GmbH, is a Munich based company offering blockchain based solutions for intellectual property management. Bernstein allows companies to improve the whole innovation lifecycle by creating a trail of records on the bitcoin blockchain. Inventions, designs, proofs of use can be quickly registered and a blockchain certificate will prove ownership, existence, and integrity of any IP asset. Using Bernstein companies can secure trade secrets, prepare a strong prior use defense or reliably disclose inventions. Most notably, all notarized information will remain perfectly private thanks to a unique cryptographic layer. BigchainDB allows developers and enterprise to deploy blockchain proof-of-concepts, platforms and applications with a scalable blockchain data-base. Rather than trying to scale up blockchain technology, BigchainDB starts with a distributed database and then adds blockchain characteristics - decentralized control, immutability and the ability to create and transfer assets. Blue Inductive develops wireless superchargers for electric vehicles. We solve the problem of supplying electric cars and mobile robots with energy, conveniently and fully automated - without the need of human interaction. Our patent pending etaLINK technology outperforms other systems in terms of size, efficiency and costs. This is made possible due to innovations in circuit topology, system control design and our expert know-how in design and simulation of coils and electromagnetic components. Dear Reality, the future of audio. The German technology start-up Dear Reality is specialized in 3D audio software and Virtual Acoustics, a key technology indispensable for any VR & AR applications. The dearVR 3D audio reality engine is an advanced 3D audio technology for all kinds of nextgeneration audio production. It offers ultra-realistic acoustic virtualization, creating a realistic, three-dimensional sound space around the listener with any kind of headphone. As a highly optimized real-time rendering API, the dearVR technology is executable on all common platforms and hardware devices. Using the dearVR technology, the achieved realism and spatial impression for the listener is outstanding. FIBRES aims to become the world’s favorite platform for hybrid foresight and intelligent strategic management. It already is a user-friendly business application for collaborative trend management, as well as for strategy planning and execution. FIBRES will combine crowd collaboration with world-leading artificial intelligence both for new input and for analysis. We’ll even connect users and providers of market intelligence and strategic management services. The FIBRES team is based in Helsinki, Finland, and combines decades of experience in foresight, business development, and SW development. The FIBRES platform is currently used or tried out by 80+ organizations in 27 countries across the globe. These include research organizations, industrial organizations, and consultancies. Revolutionary patented, B2B intra-logistics & production platform technology for Industrial Internet of Things (“Factory of the Future”), based on underfloor electromagnetic fields which move any user-defined objects (Resources, working pieces, robots, …) at the same time, horizontally or vertically, and realize a 10x higher efficiency (output). 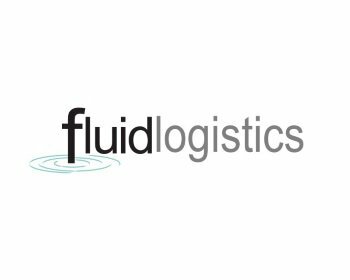 The fluid logistics enables logistics and production applications with significant efficiency- and turnover-increases. It is faster and more versatile than any other intralogistics system on the market. GuardKnox offers automotive manufacturers a comprehensive hardware cyber security solution, which fits seamlessly into the automotive value chain and alleviates the difficulties of integrating a software solution. Our solution is a proven technology tailored specifically to the automotive eco-system. The unique methodology, developed by the GuardKnox team, has been successfully deployed in the Israeli Air Force - Iron Dome and Arrow III missile defense system as well as the Israeli F-15I, F-16I and F-35I fighter jets. GuardKnox has engaged with German OEMs to develop unique solutions, geared to answer current and future needs of connected vehicles, both private and commercial. A proposal to one OEM, for a production unit, is currently being evaluated. 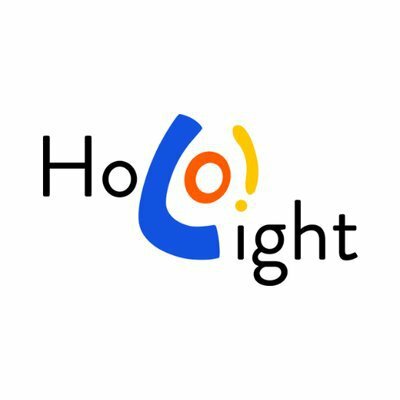 Holo-Light is an Austrian software development company, founded in April 2015. We offer Windows Holographic solutions and are a leading company in Europe concerning software development on Microsoft HoloLens. We especially focus on the industry, do pilot projects with big companies and offer first products for HoloLens. We improve current processes and raise them to a new level. In case that you have an automotive, maintenance, manufacturing or similar case, please contact or visit us in our headquarters in Munich, Germany in order to feel, what innovation means. Ideafox is an online innovation platform for teams and organizations to generate, evaluate and realize ideas together. We support our customers to create better solutions faster by connecting people from within and without their organization and enabling structured collaboration and development. Together with our pilot customer ‘Viessmann’, we were able to implement an amazingly intuitive, customizable and mobile-friendly innovation platform that people love to use. iNDTact sensors measure vibration, load and noise in composites, maschines and processes. Their extraordinarily wide perception allows for the detection of smallest changes due to damage or wearing. iNDTact sensors are small, robust and perfectly embeddable. We offer systems for research and development as well as solutions for series products across all branches. Customer benefits are more safety, improved quality, cost reduction and digital adding value in the product. Our reference customers are well-known producers from wind energy, engineering, aerospace and automotive industry. Innoviz is an Israeli startup providing LiDAR remote sensing solutions for fully autonomous vehicles. InnovizOne™, our flagship High Definition Solid State LiDAR, enables smart and advanced 3D sensing. InnovizOne™ produces highly accurate, real time 3D images of the vehicle’s surroundings. Driven by its proprietary HW & SW technologies, InnovizOne™ offers superior performance and accuracy meeting automotive grade reliability while significantly reducing both cost and size. Innoviz also provides Computer Vision solutions including Object Detection, Tracking and Classification as well as Accurate Mapping and Localization. 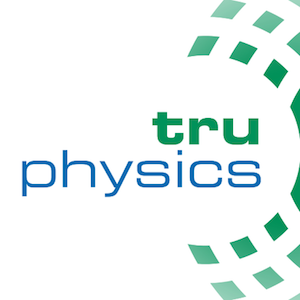 Our team is comprised of leading experts in numerous fields such as Electro-Optics, Computer Vision, MEMS design, Signal Processing and System Architecture. KREATIZE is a software solutions provider for manufacturing companies that enables seamless collaboration between suppliers and their customers. The company is the first player to integrate all fields of manufacturing, from CAD design, supplier sourcing, matching, quoting, ordering and 3rd party integrations. The concept has been validated in beta testing with over 40 suppliers already offering capacities on its platform. Suppliers are able to quickly and easily respond to customer requests and orders, and customers benefit from faster sourcing, shorter lead times and access to manufacturing tools. Led by a team with C-level experience in manufacturing and technology, KREATIZE is positioned uniquely to understand the manufacturing world and to address its needs via technology. After three years of research and development we are now launching our Voice Biometric technology to the market. Our technology is the future of authentication and we know who you are by just listening to your voice. The solution is language, grammar and dialect agnostic. It gets smarter and includes self-improving algorithms and computer "deep learning". It's artificialy intelligent. Imagine entering your car and just saying «start the car». 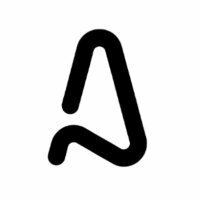 Our technology will identify the device,authenticate your voice and perform voice navigation by starting the car, all at once and in real time. We are targeting leading companies within bank & finance, car manufactures VR/Gaming and telecom. micropsi industries uses artificial intelligence to control industrial systems. We’re using reinforcement learning to train generic skills for robots to act in dynamic environments and a mix of the latest AI technologies to optimize and control complex industrial processes in the automotive, chemical, and manufacturing industries. physiosense is an Aachen based technology firm that consists of graduates and students of FH and RWTH Aachen University. Our team of engineers, software developers and health experts develops the textile sensor system of the future. Our sensors, software and data intelligence turn conventional products into smart ones which can communicate and interact with their users. With our partners and customers, we make office chairs more ergonomic, car seats more intelligent and can gather data in beds, shoes or bike saddles. Given this, products can learn from their users and adapt to them. Our measurement systems are thin, light-weight, robust and yet precise and universally applicable. For more comfort, safety and a human-oriented development. POMP is creating the Fuel and Service distribution network of tomorrow. Using its unique mobile fuel station Pomp is the refueling solution of the 21st century. We will use refuelling as the basis to provide further services to car owners, companies, and fleet managers. RE’FLEKT is a Munich based technology company that enables any business or industry to create their own in-house Augmented and Virtual Reality applications. By making AR and VR affordable and scalable for business, RE’FLEKT’s groundbreaking human-centered platforms empower anyone to simply infuse their industry knowledge into customized AR and VR solutions. With clients including Audi, BASF, BMW, Bosch, Eon, Hyperloop, Hyundai, Le¬¬¬ybold, Porsche, Seepex and Thyssen Krupp, the international team delivers technology solutions to a variety of leading global markets. Since its founding in 2012, RE’FLEKT has grown to a team of over 60 employees in Munich, Dusseldorf and Los Angles and is a “Gartner Cool Vendor”. Relimetrics is developing Industry 4.0 image correlation software to evaluate and monitor mechanical reliability of materials across industries. At Relimetrics, we are disrupting the current mechanical reliability industry by replacing the existing bulky image correlation systems with mobile, IoT connected, user-friendly systems that allow users to both visualize and quantify mechanical information real-time. We are making image correlation a mobile tool that any engineer can easily use in all phases of the engineering lifecycle. We are bridging it with augmented reality to make it easy to use, visualize and comprehend the results across industries. Renumics offers its customers unprecedented Computer Aided Engineering (CAE) automation capabilities by combining proprietary machine learning methods with a scalable open source CAE workflow engine. Where conventional CAE automation is limited in terms of high customization expenses, complex interfaces and the need for manual work, the Renumics CAE platform provides a highly modular system, web-based interfaces and lights-out CAE automation. Renumics’ technology reduces the required man-hours to simulate design variations, cuts license costs and ultimately makes product-specific simulation tools available to non-experts. Building on years of award winning research results at the Karlsruhe Institute of Technology, Renumics is led by experienced simulation and A.I. experts. SUSI&James has the mission to create the best personal assistance. This means for us that the assistance will be available 24/7 with one click, can communicate with natural language and has real conversations with humans. In addition, it has the knowledge and experience of many human experts, is integrated into your product and is affordable for a large amount of people. We do this using Augmented Intelligence with our patents pending technology. Twenty Billion Neurons (TwentyBN) is a German-Canadian artificial intelligence startup based in Berlin and Toronto. The company’s mission is to provide machines with human-level perception. The team is working towards a general-purpose vision system that enables human-like visual recognition of actions and behavior in context. To achieve this goal, TwentyBN is developing neural models that can make predictions and classifications on complex scenes in videos. Applications include video-based systems for autonomous vehicles to recognize traffic scenes as well as automatic video labeling and captioning for surveillance tasks. what3words is the world's first addressing system designed for voice - every 3m x 3m square in the world has been assigned an address made of just three words from the dictionary. Tanktwo makes distributed batteries for Electric Vehicles. Tanktwo accelerates the disruption by making more car sharing and e-hauling business models viable at a lower cost by driving down battery lifecycle cost and maximizing vehicle utilization rate.